With the ink barely dry on UK Prime Minister Theresa May's letter formally triggering Brexit, members of the European Parliament (MEPs) are embroiled in a battle over the allocation of the 73 seats Britain currently holds, with some demanding they be shared out among the remaining 27 member states. 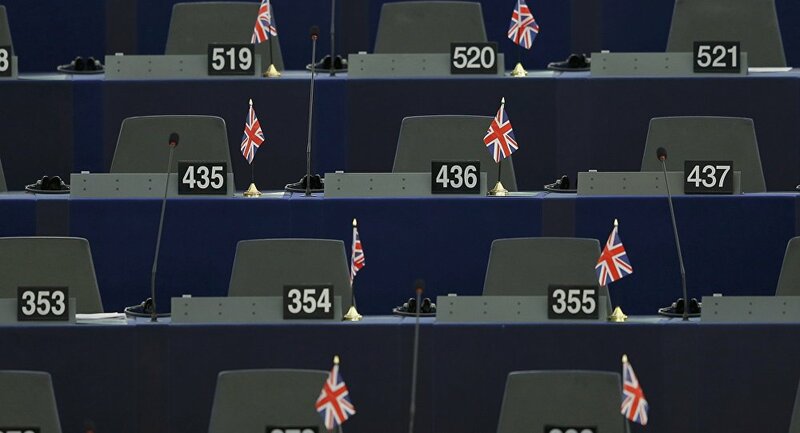 The constitution of the European Parliament — 751 seats in all — is a very sensitive use and the decision on what to do with the 73 vacant British seats is likely to roll on and on. Some MEPs want there to remain 751 seats and that they should be reallocated to the remaining 27 member states, while other say they should remain vacant. According to the think tank UK in a Changing Europe, British MEPs currently sit in several political groups: 22 UKIP MEPs sit in the euroskeptic Europe of Freedom and Direct Democracy (EFDD) group; one Ulster Unionist Party MEP and 20 Conservative MEPs sit in the European Conservatives and Reformists (ECR) group. Twenty Labour MEPs sit with the Socialists and Democrats (S&D) group; 6 British MEPs (from the Greens, Scottish Nationalists, and Plaid Cymru) are in the Greens/European Free Alliance (G/EFA); one Lib Dem MEP is in the Alliance of Liberals and Democrats for Europe (ALDE); one Sinn Fein MEP is in the European United Left/Nordic Green Left (EUL/NGL); one independent MEP sits in the radical right Europe of Nations and Freedom (ENF) group; and one Democratic Unionist Party MEP is not attached to any group. If 73 British the seats were simply removed, then neither a center-left coalition (between the S&D, ALDE, G/EFA, and EUL/NGL) nor a center-right coalition (between the EPP, ALDE, and the remaining ECR) would be able to command a majority, as is currently the case. However, the center-right bloc would be closer to the 50 percent threshold than they are at the moment. If, however, the seats were reallocated — as some MEPs are demanding — the balance would shift again — but how is likely to depend on the way the seats are reallocated. Some are calling for them to be given to create more seats for urban areas. 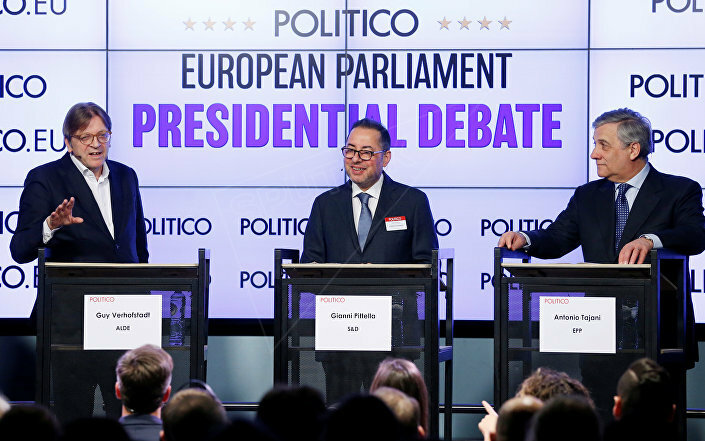 European Parliament's presidential candidates (L-R) Guy Verhofstadt, Gianni Pittella and Antonio Tajani attend a debate organized by the political news organization POLITICO in Brussels, Belgium January 11, 2017. The UK Labour Party MEP for London Seb Dance told the Evening Standard newspaper that some in Brussels could use Brexit to push for new seats in urban areas. He said the current system means London and Malta are both represented by eight MEPs despite one having a population of nine million, and the other 450,000. "It's too early to say what the balance of play is between the two decisions but if you're a smaller member state you get a disproportionate benefit. There's a strong case in urban areas and big cities. If I was the MEP for Paris I would be arguing to keep the number of seats and up our representation," he told the Standard.